A new partnership between the Royal Women’s Hospital, La Trobe University and three other Victorian public hospitals is giving pregnant Indigenous women greater access to “gold standard” maternity care, resulting in better health outcomes for mothers and babies. 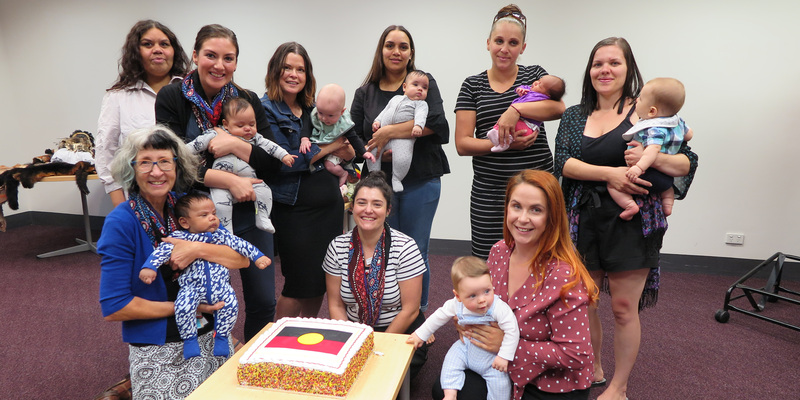 The program was first introduced at the Royal Women’s Hospital in March last year and has since resulted in a ten-fold increase in the number of pregnant Aboriginal and Torres Strait Islander women receiving one-on-one (also known as caseload) midwifery care. La Trobe and the Women’s Professor of Midwifery Della Forster said women who chose this care had the same midwife looking after them during pregnancy, birth and after the birth. “Funding from the National Health and Medical Research Council and the Women’s has allowed us to set up the ‘Baggarrook’ program at the Women’s to specifically support Aboriginal women,” Professor Forster said. La Trobe Professor of Midwifery Helen McLachlan, the project leader, said, “We know from our previous research that one-on-one care is the gold standard in maternity care, and thousands of healthy babies have been born under this model. Professor McLachlan said La Trobe was also working with Mercy Hospital for Women in Heidelberg, Sunshine Hospital and Goulburn Valley Health in Shepparton as part of the same project. “We know that there are major differences in health outcomes for Aboriginal mothers and babies including issues like preterm birth, pregnancy loss, low birthweight and special care nursery admissions. In 2012, La Trobe and the Women’s published findings from Australia’s first trial of one-to-one care that found pregnant women who received care from a primary midwife were not only more likely to have a positive experience, but also to have fewer childbirth complications and better clinical outcomes for both mothers and babies. August marks the 10th anniversary of caseload "COSMOS" midwifery at the Royal Women’s Hospital.